The 8th World Water Forum jointly organized by Brazil and the World Water Council (WWC) took place from 19-23 March 2018 in Brasilia. ICID was represented by President Eng. 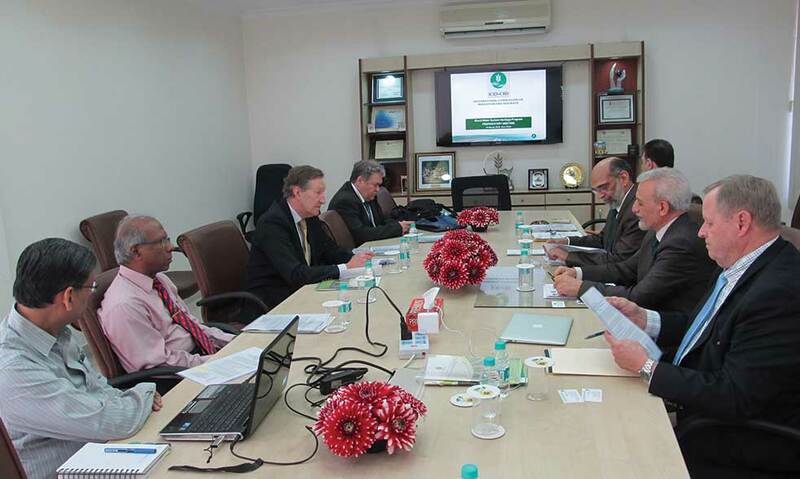 Felix Reinders, Secretary General Ashwin B. Pandya, National Committee members, and stakeholders. More than 10 Heads of State, including the President of Brazil, Michel Temer, President of Hungary, János Áder, President of Senegal, Macky Sall, South Korean Prime Minister Lee Nak-yeon, alongside CEOs of fortune 500 companies, among many others, participated in the high-level panels and more than 200 sessions. An Award ceremony to recognize three water management systems selected under the World Water System Heritage (WSH) – a World Water Council Members Initiative program was organized on 19 March 2018. The recognized systems include: (1) The Genbegawa Irrigation Canal System, Japan; (2) Sekikawa Suikei Land Improvement District, Japan; and (3) Sheikh-Bahaei Water Allocation Scroll, Iran. The Awards and Certificates were presented to the representatives by Prof. Benedito Braga, President, WWC, and Eng. Felix Reinders, President, ICID. ICID brought forward the idea of recognizing World Water System Heritage (WSH) at the 50th Board of Governors (BoG) meeting of World Water Council (WWC) in Budapest, Hungary in October 2013. The proposal was developed be a Task Force set up by President WWC and chaired by President ICID where a number of members of WWC participated. At the 54th BoG meeting of WWC in April 2015 in Gyeongju, Korea, the Task Force submitted the institutional design, communication strategy, financial aspects and timeline for the launch of the Program. During the 58th BoG meeting of WWC held in Jodhpur, India on 17-18 March 2016, the program was approved in principle and is proposed to be launched in November 2016 at Marseilles, during the 20th Anniversary Celebrations of WWC. WSH program aims at identifying and preserving the people-centred water management systems, organizations, regimes and rules as intangible water heritage considered to be of outstanding value to humanity that creates coexistent social system for humanity and sound environment and giving them recognition. Adapt the knowledge suitably in the present context.